Hacking at Redbooth is a core part of our company development. 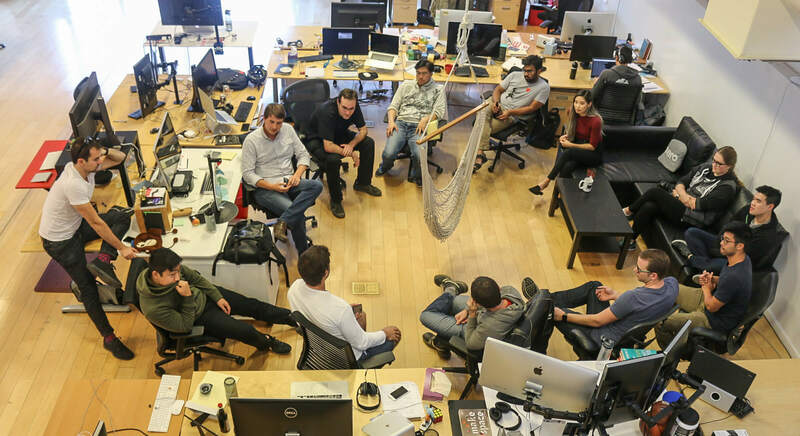 Prior to our merger with AeroFS in September 2017, both companies had a history of holding hackathons, and implementing those projects into production. 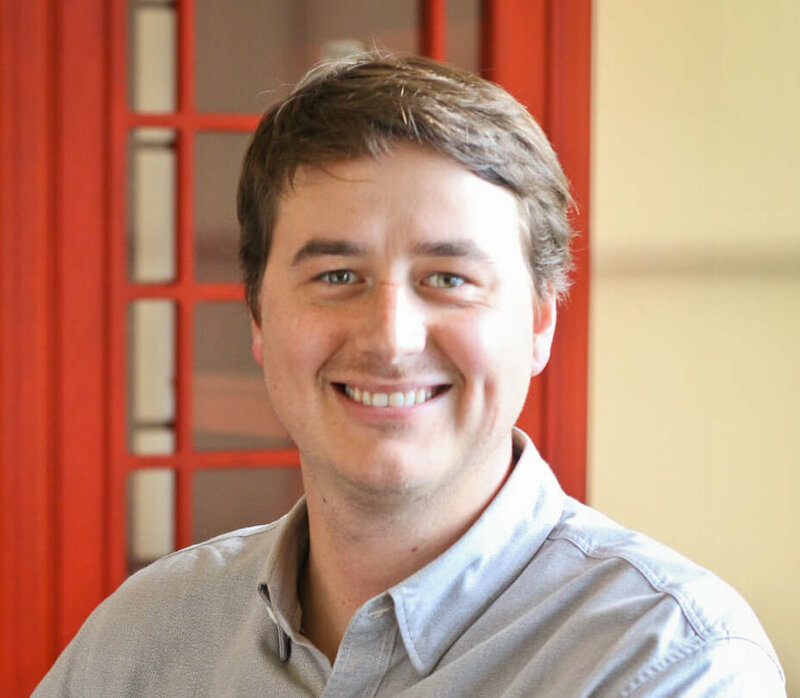 This Thanksgiving, we merged the two hackathon styles (Redbooth’s traditional hackathon style was geared more toward remote teams), for an improved and scalable approach to building new products for our team and our customers. 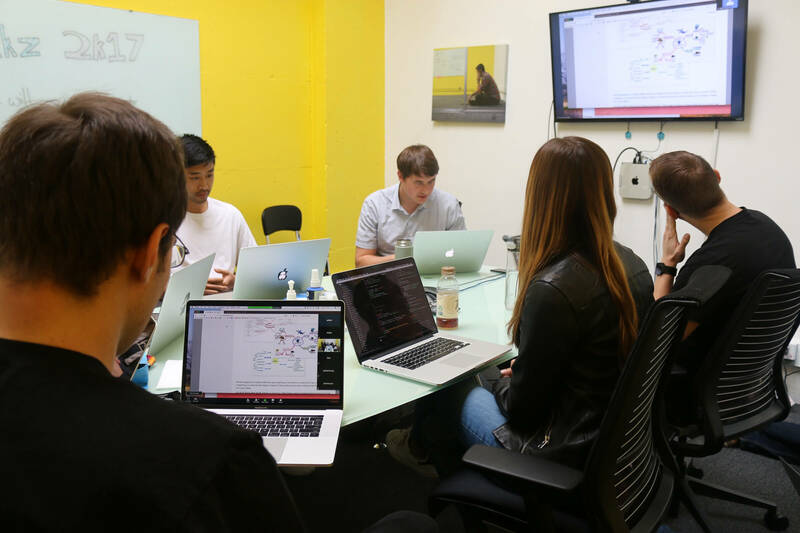 The timing of a hackathon can be an obstacle to continuous software development. Any day or week is lost dev time, and it matters when and how you disrupt this time. In the US, the last Thursday of November is a national holiday, Thanksgiving, and the following Friday is often a holiday as well. AeroFS used this shortened week for a 2-3 day hackathon, and this year we used that same method to create an even bigger hackathon week. A full 4 days dedicated to hacking without disrupting any engineering sprints or product deployments. 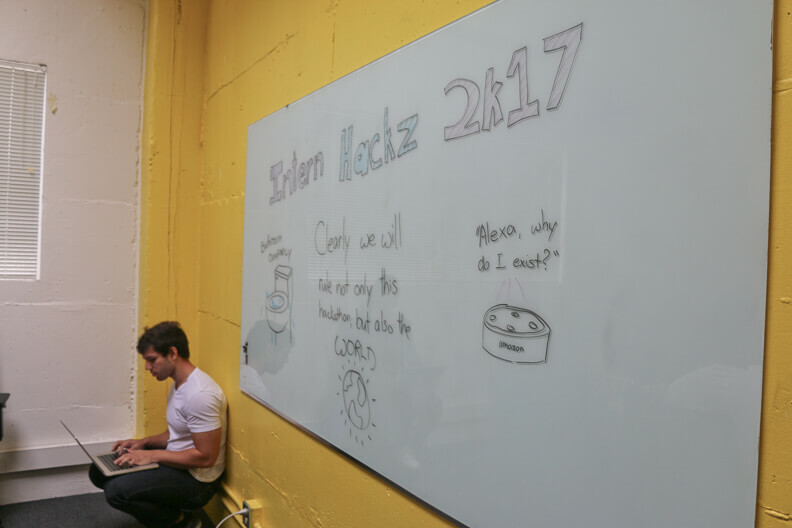 On Friday afternoon, the week before, we ‘kicked-off’ the hackathon with a round-robin of ideas that people might work on. Everyone was encouraged to speak about their ideas, or ask for new ones. Peers could ask clarifying questions, or offer a bit of advice. Being a small team we didn’t have any competing ideas, but the kick-off would be a good time to identify those and join forces, choose a different project, or continue building knowing someone is working on the same thing as you. Truthfully, we probably would have advised against the latter because there are SO many ideas. For individuals without a clear project yet (or who just wanted to be silly), we offered a wheel-of-ideas based on feature requests in our forum and some silly suggestions around the office. 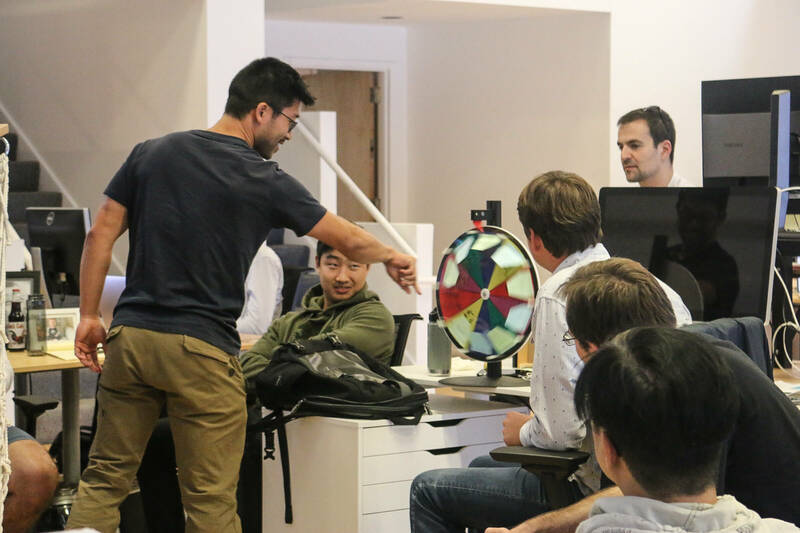 Two of the ideas from spinning this wheel became projects and were winners of the hackathon! Hackers were free to use the weekend building if they wanted. This proved most useful to anyone who would be traveling or busy during the holiday week. Those members simply recorded their demos and we presented them on Wednesday along with everyone else. On Monday and Tuesday, we kept the office lighthearted and fun. We played hacker-themed movies on “Movie Monday” and did a blind wine tasting on “Tasty Tuesday”. Another AeroFS tradition for Thanksgiving week is to host a Friendsgiving on Tuesday evening; a buffet of Chinese food in the office, welcoming friends and family. It’s a great way to take a pause from the hackathon and get to know your co-workers and the people that matter to them outside of work. Before Friendsgiving everyone submitted their project ideas and mostly working on finished touches. It’s not uncommon for a person or team to pivot mid-hackathon, so on Tuesday evening a ‘check-in’ allows the organizers to track the projects and make a presentation plan for Wednesday, demo day. It’s as simple as asking the teams to list their projects in a shared spreadsheet. Wednesday is the final day in the office before the holiday and we use it for demo and awards day. After lunch, all teams participating have five minutes to describe and demo their project. Pre-recorded videos are mixed in with live demos and run by a peer to keep things easy. Instead of collecting everyone’s presentations slides ahead of time, we focus on keeping it simple. Each presenter logs in to a shared meeting using Zoom. When it’s their turn, they simply take over the screen share and present. Slides are optional, but you must have something to show for your work. The list of projects made voting easy to manage. We created a Google Form with three questions, the first two were the winning categories: Best Tech, and People’s Choice. The final question was more subjective: How can we improve the hackathon for next time? After all the presentations, this form link was shared in Slack and everyone was able to access it on their computers or phones immediately. No more shuffling of colored post-its and scrounging for pens around the office. Within 2 minutes all the votes were in, and we could present awards. Group judging is a more egalitarian approach to other hackathons. If your exec team or a specific panel is in charge of judging, they could adopt a similar methodology as the shared form to shorten the voting time. This year we had three winners across two categories. The 1st was a clear victor in the Best Tech category (excellent presentation, working demo, greatest innovation using our product). The 2nd and 3rd were ties in the People’s Choice category (made you laugh, our customers will love it!). 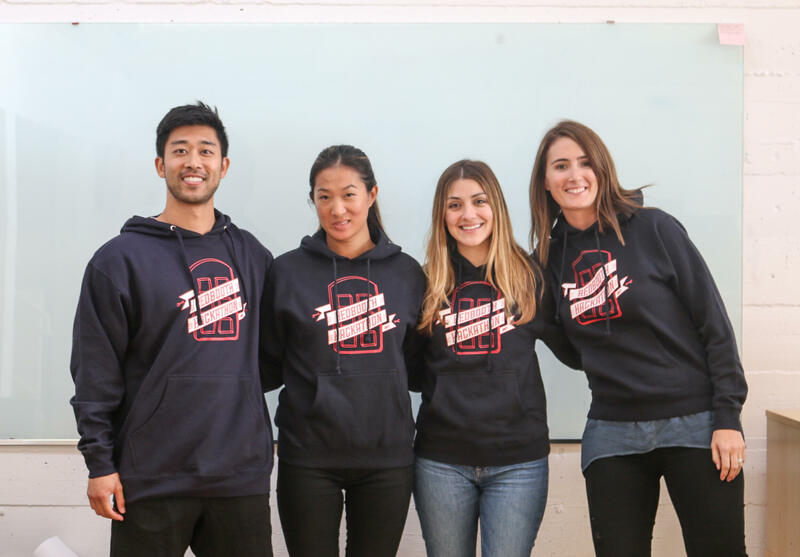 Each participant received some Redbooth hackathon swag (this year- a hoodie) and the winners were given gift cards of their choice to Amazon, Ticketmaster, or Nike. In the pa, t we have created some clever one-of-a-kind gifts and we’ll be sure to keep that trend alive next time. We are committed to making the best ideas publicly available to our customers. In addition to the winners, we selected three quality ideas to release to our customers. We invited the selected hackers to a shared project in Redbooth where they can help us scope and spec (our development terms) before putting in the product roadmap. The team is excited to continue this approach because many exciting Redbooth features started as previous hackathon projects. The quicker that hack projects can be built and deployed, the more likely future hackathons will result in innovative quality ideas. Do you have an idea for a new product feature? Send it to our Feature Request forum and we’ll consider adding it to the Wheel of Ideas at the next Redbooth Hackathon!